There are a few bits of health news many of us hold on to, such as everything in moderation and red wine being good for you. Unfortunately for those who enjoy a regular tipple, it seems that guideline is about to be rewritten. For years we've been advised that red wine can help cut the risk of cancer and heart disease, and it's also been linked to maintaining a healthy weight. However, according to Britain's The Sun newspaper, new terms will be released this week, stating much of this is not the case. 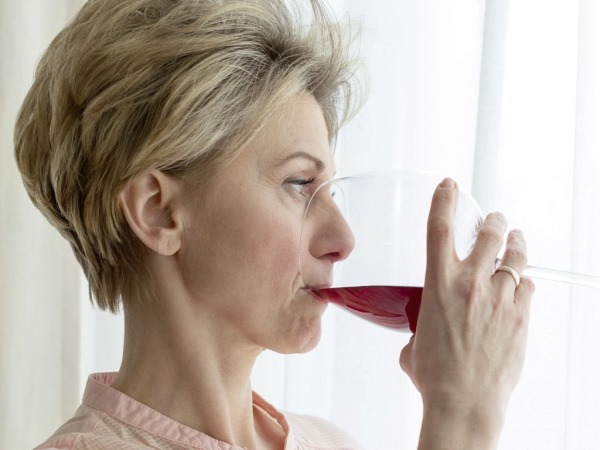 The report apparently comes from the Chief Medical Officer Dame Sally Davies, and it's being published due to concerns that some people have been overindulging in red wine as they believe it's healthy. It's not just those who enjoy the beverage who are in for a shock either. There will be new guidelines stating men should drink the same as women, according to the report, with all people advised to have a minimum of two alcohol-free days weekly. Currently men are told they can consume 21 units a week - or seven pints of high-alcohol lager - while women can have 14, equivalent to just over four large glasses of wine. "The report will send a clear signal that the dangers of drinking are far more than previously thought," an insider told The Sun. The guidelines are said to be backed up by science and mark the first time there has been any change made for 20 years. When they were last updated in 1995 it was thought that small amounts of alcohol could cut the risk of heart disease, but now it's felt regular drinks might actually be detrimental to health. Experts apparently feel that any benefits are just as easily reaped from regular exercise sessions and concentrating on eating a balanced diet. The news comes after a recent survey found many people don't realise how much alcohol there is in wine. American researchers carried out tests on 127,000 wines and found the alcohol content to be higher than on the label in 60 per cent of them – with Chilean, Argentinean and Spanish reds the worst offenders.